Chester Payne was born on 15 July 1925, in Albert, Oklahoma. 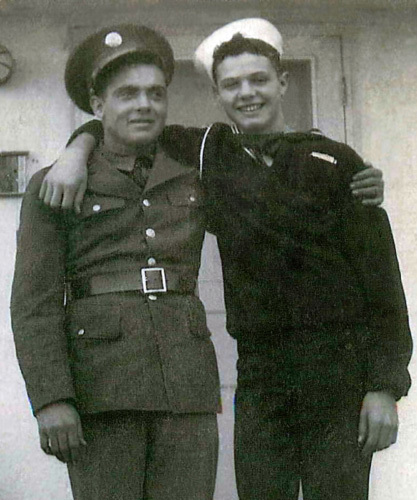 He was one of four brothers who served in the Armed Forces during World War II. After graduating from Tulare Union High School in Tulare, California, Chester worked at Johnnie's Bar-B-Q until he enlisted in the Navy in October 1941. After boot camp, Chester volunteered for the submarine service. While on submarine duty he was injured, and spent several months in the hospital in New London, Connecticut. He was then transferred to the Pacific, and was able to meet up with his brother George in the Hawaiian Islands. His submarine, USS Flier (SS-250), hit a mine while traversing the Balabac Staits south of Palawan in the Philippines. Although eight men survived the sinking and were rescued by the submarine USS Redfin (SS-272), Chester was lost with his remaining shipmates. USS Bowfin’s crew originally consisted of 70 men, 7 officers and 63 enlisted, and was later increased to a minimum of 80 men, 8 officers and 72 enlisted.